You don’t need to travel to have a vacation. Staycations offer a wonderful alternative without the stress over travel time or budget – no more worries over crying babies on a flight, luggage overload problems, or immigration woes. For those who prefer to stay in the country for their vacation, all they need to do is go to their destination, check in and relax. The best thing about a staycation is that you can go on one anytime you feel like it. In our family, we find that staycations are best during June School Holidays (4 weeks) when traveling expenses can be twice as expensive and the country is emptied of a third of its population. AND the long year-end holidays (6 weeks) where we have mini-vacays on top of the extended holiday. Long Public Holiday weekends and special occasions like birthday celebrations are also a great time to enjoy a short break with the family. Over the last few years, the hospitality industry has responded in kind with attractive options like child concierge services and tickets to attractions to make the staycation experience a desirable option for families with working spouses and young kids. I’ve compiled a list of the most popular staycation venues for families in Singapore! I hope you find them helpful. 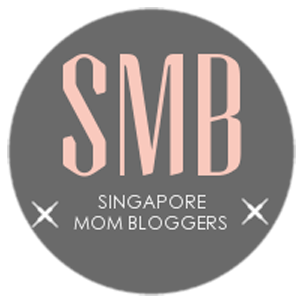 Shangri-La Rasa Sentosa Resort* is possibly THE best hotel to have your staycation in and is the top of our list whenever our friends from out of town ask for recommendations for family-friendly hotels. First, the hotel is located on the lush grounds of Sentosa island. That means easy access to the other attractions on this paradise island. Second, the hotel itself provides plenty of comfort and activities to entertain the kids and adults. The secluded beach is great for family bonding or the fun pool for lounging out in. If you have kids aged 5 to 12, check them into the Cool Zone — a 100-square metre of fun play in a supervised environment, with three activity centres (Toots Club, Craft Zone and Game Zone) and a giant tree-house slide that winds from level three down into a pool of colorful balls on level one to entertain them. As a value-added service, the full-day children’s programme includes complimentary lunch or dinner for participants. This leaves you and hubby free to explore the other amenities. Take advantage of the “alone time” to pamper yourselves at the Chi Spa for some much-needed R&R. Or if you and hubby are the sporty type, the Sea Sports Centre offers a variety of activities for the water enthusiasts. Or just be romantic and take a nature walk along the beautiful beach. Read about our stay at this hotel. Enjoy a dip in the jacuzzi or massage services and chill out with the natural elements of the beach, garden, and forest around you. Furthermore, this resort is a convenient 5-minute walk from favorite activities on the island like the Sentosa Luge and Skyride as well as Wave House, where artificial waves are created for surfing. Other hotels to try on this island that is great for staycation are the Hard Rock Hotel and Festive Hotel. Want to be in the city? Then, Grand Park Orchard is the one for you. We especially love to stay at this hotel during the Great Singapore Sale or the Christmas Season. This award-winning hotel is smack in the center of Singapore’s shopping belt along Orchard Road. Being in the city center also means you have an array of shopping, dining and entertainment choices at your fingertips. After all that shopping or sight-seeing, rest your feet and enjoy the immaculate services. Plus, there’s free internet for you to research for more shopping deals during these periods. The hotels also come with free internet, breakfast and laundry services, not to mention your own personal butlers when you upgrade to the exclusive Crystal Club. M Hotel Singapore is on our wishlist because of the sweet package deals it offers. The “Picnic by The Bay” Weekend Package ($238++ per room per night) includes a weekend night stay in a Deluxe Room, breakfast for 2, and a one-way taxi transfer to Gardens by the Bay or Marina Barrage with a picnic basket or kite set. Alternatively, you can sign up for the Universal Studios Singapore Package, which offers you 15% off the best available room rates, complimentary breakfast and 2 adult tickets to Universal Studios Singapore. ** You can even get a one-way scheduled transfer to the theme park on the weekends! Orchard Hotel Singapore has a specialized child concierge service called “Ask Alfred”, who will offer children’s bathroom slippers and bathrobe, organic shampoo, and even mini toothbrushes upon request. If the kids are happy, mom and dad are happy – a perfect arrangement for the urban family. If you enjoy the rustic feel of open country, all you have to do is head West of the country. Truly. At the Rider’s Lodge in Turf City (western part of Singapore), the hotel features 40 colonial style rooms and offer pony rides for little kiddies or go for a carriage ride with the entire family at Horsecity. You can even combine a birthday celebration with this staycation complete with bouncy castles and pony rides. For those who has a taste for the unusual, you may want to give Wanderlust a try. Nestled in the heart of Little India is this little gem of a hotel that offers three pantone colors and a choice of 9 loft rooms with five varying themes – ‘Bling’, ‘ASCII’, ‘Space’, ‘Tree’ and ‘Typewriter’. Let the imagination of your kids run wild with the Tree and typewriter themes. Read this post if you wonder what you can do in Little India. Costa Sands Resorts is a branch of the NTUC Club, hence you can expect good quality and comfort. However, the rooms are very basic, so don’t expect much from this chalet-like “resort”. But what it lacks in basic amenities, it makes up for in fun for the kids.When you check into these resorts, you are awarded vouchers** that will grant you FREE admission to Wild Wild Wet, a 1-hour playtime at eXplorerkid for 1 child or bowling games for 2 players. Choose from these three resort developments in Singapore – Downtown East, Pasir Ris and Sentosa. * Hotels are located on Sentosa Island. **Terms and conditions apply. Please check with the individual establishment on the current promotions. Where do you go on your staycations? Share with Us in the comments below. We will also love for you to connect with Us on Facebook, Twitter, and Instagram.